software migrates to the cloud, Google Sheets has emerged as a worthy opponent. So, which one should your team use? At Process Street, we took a deep dive into the features of the two hotly contested spreadsheet programs to determine the victor, once and for all. 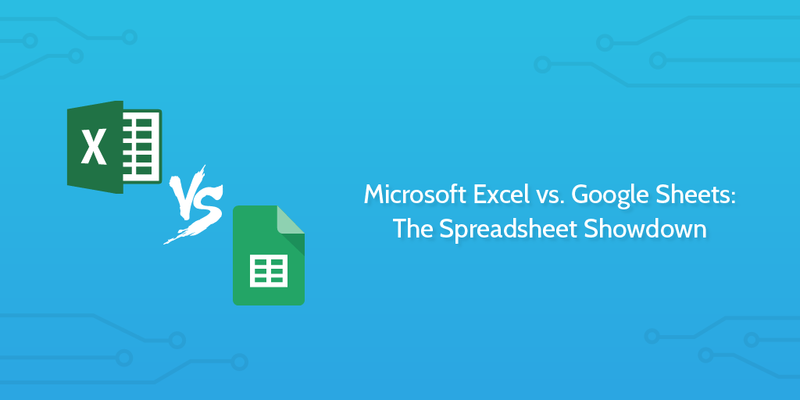 It all comes down to this: Microsoft Excel vs. Google Sheets. Google Sheets has become so popular because it was the first spreadsheet program that enabled users to collaborate in real-time. We take this function for granted now, but before Sheets, working on spreadsheets as a group was a huge pain. And if one person didn’t have an updated version of Excel, you could just forget the whole thing. When Sheets first came around, people preferred it to Excel because of its collaborative capabilities. While Excel’s native app had more processing power, Sheets made it super easy to work on projects as a team. But now, Excel has released a web version of their product—Excel Online, which offers many of the same capabilities. So does Sheets still stand a chance? Sheets was designed with collaboration, speed, and convenience in mind. And that has made it a hit from the start. That means that it doesn’t have anywhere near as many features that the Microsoft Suite offers (advanced conditional formatting, ability to trace dependents, advanced graphs and picture creation options, ability to upload to other clients), but it does boast some features that no version of Excel offers. Sheets not only allows you to collaborate on a document in real-time, but it also has a chat window that enables you to discuss changes with your team. It also auto-fills formulas, in typical Google fashion. The program is compatible with Android, iOS, Windows and Mac OS X. But many people prefer Sheets to Excel for the simple reason that it’s a Google product. Google enables you to use many of its other programs within Sheets. By using formulas like GOOGLETRANSLATE(), or GOOGLEFINANCE(), you can take advantage of the numerous other free products that Google offers, without even having to leave the spreadsheet. You can do pretty much anything with Microsoft Excel, even including automate and manage your workflows. Not only does Excel let you create any kind of chart—bar graphs, flow charts, pie charts, Gantt charts, line graphs, stock charts, etc— it also allows you to totally customize your charts from changing the names of the x and y-axis, to formatting the data cells, to color-coding everything. Some Excel whizzes even use it to make art! But learning how to create these graphs and getting acquainted with all the functions of Microsoft Excel is no small task. Some even opt to take a class, just to get to know the basics. Realizing that the less-is-more mentality was catching on, Excel released their cloud version, Excel Online, compatible with Android, iOS, Windows and Mac OS X. Files are stored on OneDrive, which is equipped with the rest of the Online Suite. Similar to Sheets, Excel Online offers just a basic toolbar, collaborative functionality, and easy sharing options. The issue with the cloud product is that not all work done on the desktop version can be uploaded to the cloud. And the versatility that the desktop version offers doesn’t hold true for the cloud version. It’s pretty much Google Sheets, minus the Google connection. The Microsoft Suite used to be a necessary expenditure for teams that were interested in even the most basic spreadsheet program. Now, tons of native programs and cloud-based applications are providing the same basic functionality for free. Recently, the deal-breaker with Microsoft Excel was that $100+ price tag, but their new basic cloud version is free, and the upgrades offer pretty competitive pricing. Let’s dive in to see where the better bargain is. They also offer a business plan. You can get unlimited storage for your business for just $10 per user per month for all Google Apps. The only requirement is that you must have a verified domain name for your business. Something to keep in mind, in terms of storage, is that regardless of the amount of space you purchase, cloud-based programs aren’t able to process huge amounts of data as efficiently as native applications. That means that if you’re looking to work on projects with 10,000+ lines of data, you’ll inevitably experience some lagging and slowing down. The latest version of Microsoft Excel goes for $109.99. And as a native app, it doesn’t have storage limitations. It also won’t slow or crash the way a cloud-based program might when handling a lot of data. The prices aren’t much better than what you’d get with Sheets, but they have more options when it comes to their business plans. They offer Office 365, which comes with the entire online Microsoft Office suite, plus plenty of other features, like an email client and a calendar. Depending on what package you get, the price ranges from $5.00 per user, per month to $12.50 per user, per month. You can upload spreadsheets from the desktop version onto the cloud version, but some advanced formatting might get lost. The biggest limitation of their cloud version is that any file bigger than 1 TB can’t be opened, viewed, or collaborated on. But, for files that big, you might as well use the original native application. You are legally obligated to keep your customers’ information confidential, and a security breach can cost you your entire reputation. Suffice it to say, if you are a small business, you know not to take security lightly. Since its inception, Excel has had a long history of being hackable. In fact, Microsoft Windows is the most targeted platform for cybercriminals. Likewise, some serious security breaches over the past few years have caused Google to rethink its security measures. With both companies taking security much more seriously, let’s see who does it best. Google Drive, which lets users have a single account that accesses all their documents, has switched its services to HTTPS—the secure version of HTTP. This server type, used by banks and shopping carts, makes all communication between the website and your browser encrypted, so no one can see what you’re doing. Your data is less secure at rest, however—which means that when it’s just sitting there, it’s not encrypted. To help keep your data a bit safer, you can add another layer of security by turning on 2-Step Verification for Google Drive, and getting a security key for it. Excel workbook files are notoriously easy to break into. Excel Version 2007 and earlier were password protected with an outdated algorithm that was easily hacked. Even now, the 2016 version still isn’t impervious to password breakers. Long story short, if you want your files to be ultra safe in transit, you have to take additional preventative measures. The cloud version of Excel goes above and beyond, however, to make sure your data is safe. Also using HTTPS, OneDrive makes sure all data in transit is encrypted, and they also offer a 2-step Verification for those who want to take extra precautions. In their business plan option, they take it a step further and offer per-file encryption for your data at rest. That means if one file was compromised, everything else would still be safe. While your data is super safe from hackers in the hands of Microsoft Office, they state in their terms of service that they reserve the right to scan for “objectionable content.” So if you trust Microsoft, they certainly offer the better protection. 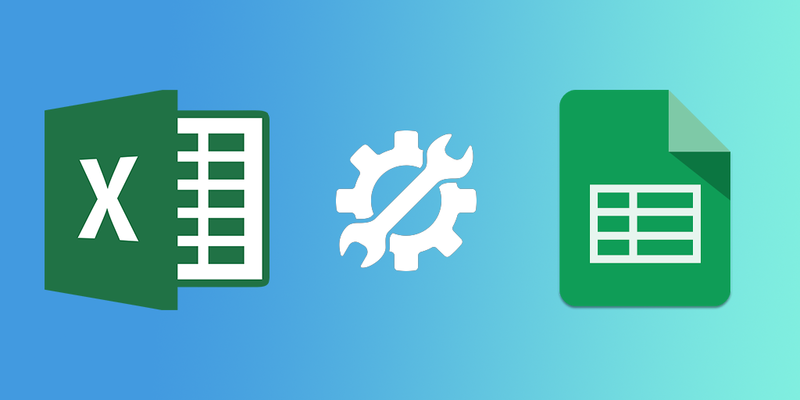 While Google Sheets does have all the basics and a few of the functionalities of Excel, it still has a long way to go in terms of versatility. As a native app, Microsoft Excel can do pretty much anything. You can get it to solve Sudoku puzzles for you, or even power a Tetris game. You can automate most of your work, and you can collect an unreal amount of data without any hiccups or crashes. While many businesses used to go with Google Sheets for its collaboration features, the launch of Microsoft Office’s OneDrive leaves Sheets in the dust. Not only does it offer many of the same capabilities, but it has more security features. So Excel re-emerges as the better option once again. 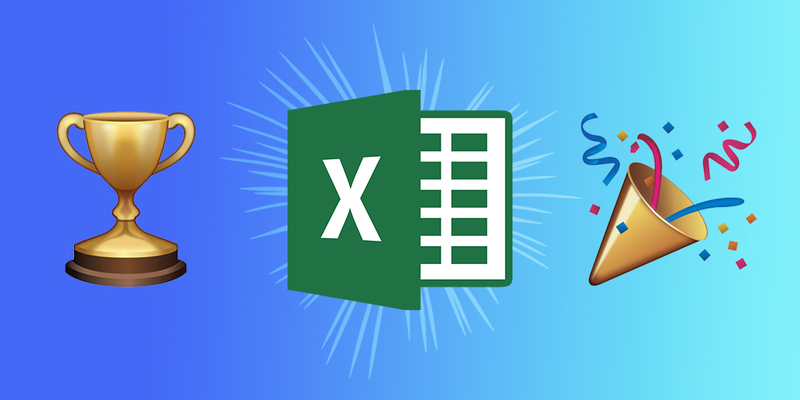 We’d love to hear about the different ways you use Microsoft Excel vs. Google Sheets in the comments. Who knows? You may even get featured in an upcoming article! Bill Gates is so happy right now, he’s jumping over a chair in the ’90s. At least you had the stones to pick a winner and didn’t raise someone’s hands in victory falsely. I do not think the spreadsheet is a future solution. Despite the many functions offered by Excel or sheet, only a small percentage is used. CRM is still a solution more in line with our time to present and process data. Office is still far from a collaborative fashion as Google Enterprise. While Google Sheet is open, Excel is still very closed. If one were to include an application representing the future of the spreadsheet then present Airtable. Yes CRM is an example of a specialized vertical workflow, that basically took something that was tracked in spreadsheets before and optimized it for a particular workflow. 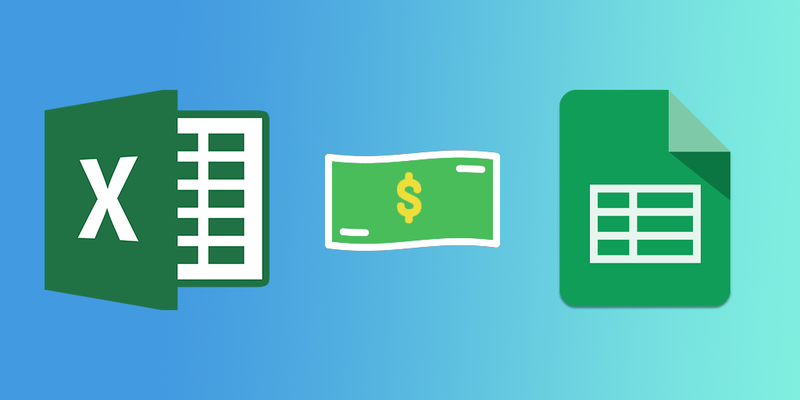 Spreadsheet apps however are far more horizontal in their approach, they might not do “managing a sales pipeline” as well as a CRM, but there are thousands of things you can do in Excel that you can’t do in a CRM. Whow. You compared Bananas to Elephants and somebody won. Both Solutions do spreadsheets, but this is pretty much the end of how you can compare this products. Just to give you a small hint: i use both products all the time – because non of them is better at everything. Working together with a remote Team? Google Sheets to the rescue! Working on crazy pivot data and dig deep? Nothing better then good old Microsoft Excel. Everything in between? You decide. Sometimes i copy data between on and the other multiple times, just because reasons. Anyhow – you can do much better than his. Yea I use both too, I use Excel on desktop when it’s just for me and Google Sheets when collaborating, but I think if we were on Office 365 instead of G Suite for our productivity suite, I might use Excel only as they have an online version too. I am rarely leaving comments on articles, but I feel I have to this time. I strongly agree with Bernhard Welzel, that this article just did not dig deep enough to really compare these two. I have been working with Excel for many years now and Sheets for two. If you are an average spreadsheet user with a decent amount of data you won’t notice the difference. Sheets can handle up to a couple of thousand lines, has almost all the same formulas (although differently named) and the main throwback is that its design options are very limited. BUT and that is a big but for all people who really use Excel, it cant handle to much data. 100k rows –> Sheet dies a painfull death. Linear programming, Solver, Big Pivots, Statistical Analyses are things that just Excel can handle. And for the Excel online, it is a nice try to catch up with the time of cloud based collaboration, but from a usability perspective and sharing features it is for from close to what google offers. I was really looking forward to this article, but if comparing the possibly most important productivity tools on the market it should be in much more depth. Indeed, we love Airtable at Process Street! We use it for tracking and storing everything. Well, both things are far apart and we can’t put both the things in a single shoes. There are things in which MS Excel has still no match and there are things that makes these online sheets stand apart like the option for commenting and sharing with others. so one can not judge which one is better than other. Yes it really does depend on your use case. Microsoft was always my 1st choice but after reading this I think that google and Microsoft are good rivals. I think it just depends on what and why one is doing. This becomes a more difficult decision if you are on a Mac. The latest Office suites are notoriously buggy. Excel and Word crash all the time. Known issue that is never fully fixed. I have moved completely to Sheets with the exception of extremely data intensive calcs. I’ve used XL constantly at a moderate level throughout my last 20+ years of accounting and am sick to death with it – I am frankly amazed there are so many positive comments about it. I have used it at many different employers and without fail will experience a range of bugs and problems with it on an ongoing basis – its a rare day in deed when I don’t experience an XL crash. XL handles lots of data well!?!? Right…occasionally if you can get the file to open lol. Sure there are lots of things that XL can do that Google can’t, but I have been blown away by the latter in the last 2 years I’ve been using it. Here is a piece of software that actually works – without the constant crashing. Of course if hasn’t got the depth and range of XL, but it says what it does on the tin – XL don’t seem to have improved significantly overall over the 20 years I’ve used them – how can I still be getting issues with simply pasting data between sheets because of “too many number formats”?? I know which company I’d rather have produce self-driving cars lol….Rant over – boy did I need that!! The article doesn’t explicitly state this, but I guess the comparison was Excel for Windows vs Google Sheets. As a HUGE Excel geek, I had always turned my nose up at Google Sheets, but since moving to an all-Mac company, I now prefer Sheets. Sheets hasn’t got better; simply Excel for Mac is a broken mess. Simple example – paging down a spreadsheet… screen doesn’t track with you. VBA macros?… Sure, if you write them on your PC and copy across to Mac, because the VBA IDE is missing. Navigation?… randomly spread between ribbon and main menus with no obvious logic. On a brand new Mac with Excel 2016, the experience is SO MUCH worse than Excel 2007 on a Win 7 PC. Truly shocking. And because I am – as mentioned – an Excel geek, I really miss the backslash key compatibility, still speeding power users through the PC version. I strongly suspect Mac for Excel is designed to promote sales of Windows rather than sales of Excel; the risk Microsoft runs is that it just drives died-in-the-wool Excel geeks to discover how good Sheets is today! It’s also important to understand the key feature of Sheets vs Excel: collaboration. If you compare corrupted files and lost information because Excel doesn’t save automatically and realize that collaboration in Excel is just non existant (even in the web version, in which collaboration is a joke: https://youtu.be/E1wvzVjeOP0), Google Sheets scores a lot of points. It’s also important to note that going with Google solutions doesn’t completely lock you down in Google-only formats and you can still work quite well with Excel if you do need it. There’s very good Chrome extensions like Awesome Drive that integrate with MS Office very well and gives a lot of the best of both worlds. I need Excel 2013 related question and answer. 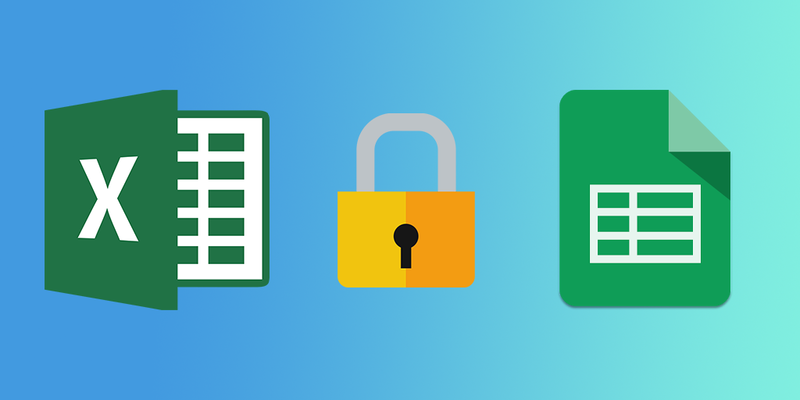 Great information about microsoft excel vs google sheets. Both have their own features according to the needs. Great overview of Excel, I am not sure people realize Excel has come a long way to becoming more user friendly. Great job! This was the most in-depth comparison I’ve seen so far and some really helpful replies. I love Excel but I’m glad to read that Google is putting some pressure on. It will force Microsoft to make Excel even better. as of 11/8/2018 Sheets had solved the issue of filtering a shared spreadsheet with Filter views. MS excel still does not have this feature. The comments feature in Sheets enables communication about data within the sheet which minimizes emailing outside of the working dataset. The weeknesses of sheets are total capacity is limited and because it is a native cloud app it wants to share a link instead of a copy of the document. When you share with an outside party you often do not want to link them to your sheet even in view only mode because you may revise it for other customers etc. The problem is to download sheets as an attachment is a much longer process than to send from excel. MS Excel is way easier there. It has greater capacity, It has more features including that when you send a landscape formated view, the recipient recieves it upside right in landscape view whereas sheets turns it sideways to display as portrait. This is a new bug that was introduced in a revision. Hopefully that will get fixed. A MAJOR weekness of sheets is its handling of macros. Excel can store macros in the working sheet or in a hidden personal sheet which allows users to apply the macro to any new sheet that is opened. Case example: when you are emailed a report each day and want to run a macro to reformat the data and run some calculations etc you cannot do this in sheets but you can in excel. if you dont have excel you are up a creek and stuck manually reformating a sheet every day…. this is such a time waster in my office that its enough to cause us to scrap sheets even though it does have superior collaborative tools as mentioned above. Macros save time which saves $! Further, the conditional formatting options are sooo limited in sheets that it makes it nearly unusable. You can not apply / remove borders to cells using conditional formating in sheets but you can in Excel. I disagree with all of those who say you cannot compare these programs. I think we all MUST compare becuase someone has to make a decision about purchasing corporate licensing. Paying for hundreds of users is a significant expense. For now it seems most use whatever is best given our level of sophistication in collaboration or data manipulation and will leverage the free version of the competition to use those features when needed. Neither is superior on every feature but there are certain features which will require a person to choose one over the other. If you are like me and want both you just have to pray that the developers of both read blogs like this and get to work on functionality. right now excel is better on most fronts only lacking collaboration tools like the built in “comments” (as opposed to “notes” to use sheets terminology) and filter view functionality. Once Microsoft can make this happen in a shareable online app while retaining all other features there will be no need for google sheets. Sheets has a much longer uphill battle to recreate all of the functionality of excel including sheer capacity. If you deal with large sheets you dont have the option to use sheets. it feels like a battle between one company vying for grass roots users and the other vying for corporate users and the frustration for us is that we are both. we use excel at work and sheets at home…but what is the point of sheets if it isnt to eventually get consumers so familiar with their product that they will push their employers to licence the business class version of sheets. Then it becomes monitized for google. I dont see any point in pursuing the market share of consumer users when they are not paying for the product. (Unless its a gateway drug to get everyone to pay for additional onlines storage in Google drive? Agree with most of Bruce’s observations, but macros…? Programmability is the feature where Sheets wins hands-down over Excel. Yes, Excel has macros, but as soon as you need to do something sophisticated, you’re into wrangling VBA, with all that means in terms of an ugly security model, quirky syntax (Visual Basic – but not quite – and useless outside Microsoft Office land), installation dependencies on the desktop, and PC/Mac inconsistencies. 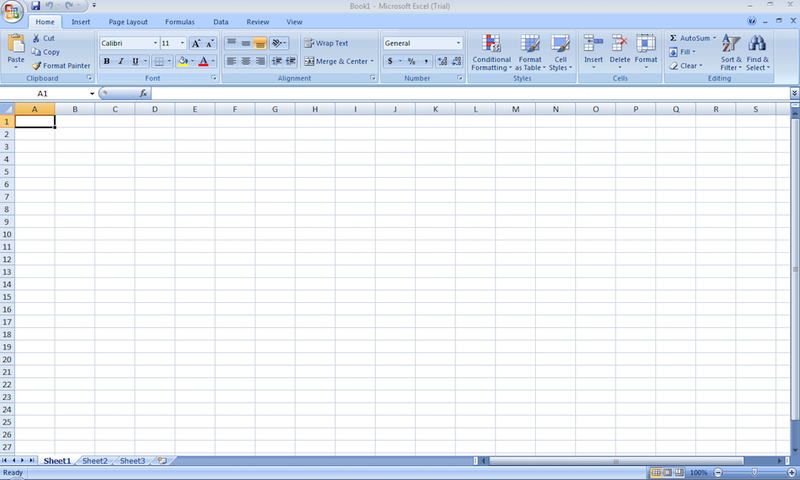 For mostly individual use, exclusively on PC, I remain a strong Excel fan. For any usage on a Mac, it has to be Sheets. And for any spreadsheet based application that requires extensive programming, Sheets – whether for Mac or PC. Hi, Nice Article. Thanks for sharing these Differences. I Like Microsoft Excel Because it’s easy to use and Google sheets little bit complicated for me.